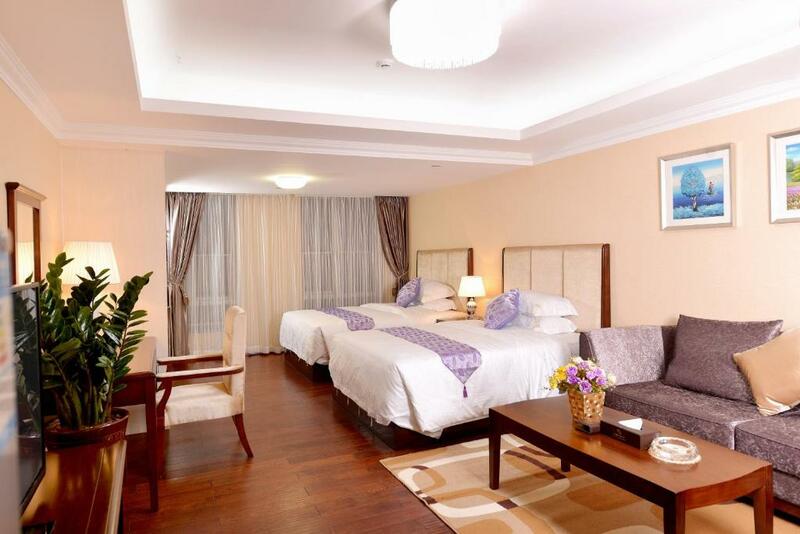 Nice hotel, 100 meters from the Taojin metro station, value for money. 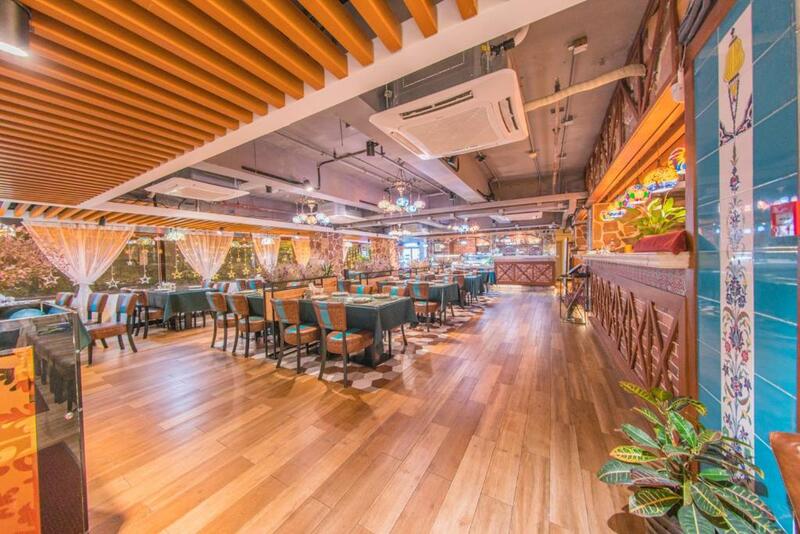 My booking was on 10 and somehow I can't make it on 10 and I request them to change my booking for one day and they did it for free.staff was really helpful and can speak English.it was clean and bed was comfortable.and it's in city centre and close to subway.you take exist B taojin station and in front of exist it's there.highly recommended for Guangzhou stay.gonna stay there again if come to Guangzhou. Receptionist staff very cooperative , Metro station very near , 1 min walk , apartment very near and clean. And have Muslim shower in bathroom. Halal food restaurants very near. - The view. - The washing machine in the bathroom. - The location. 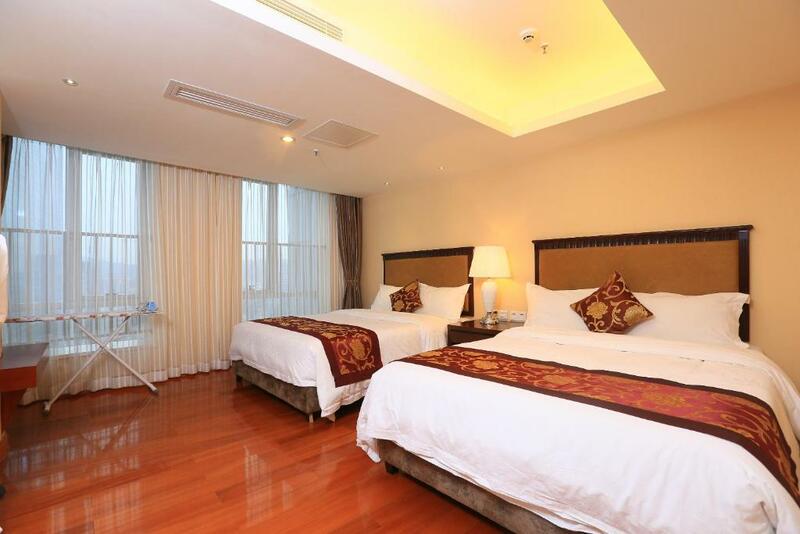 The cleanest of the hotel staffs are very helpful and the location is excellent bed is very comfortable I love the hotel I really enjoy my stay the room is big very nice place to stay in Guangzhou. 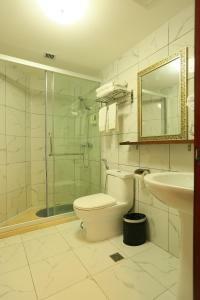 Great location right near MTR station, space appartent, washing mashine. 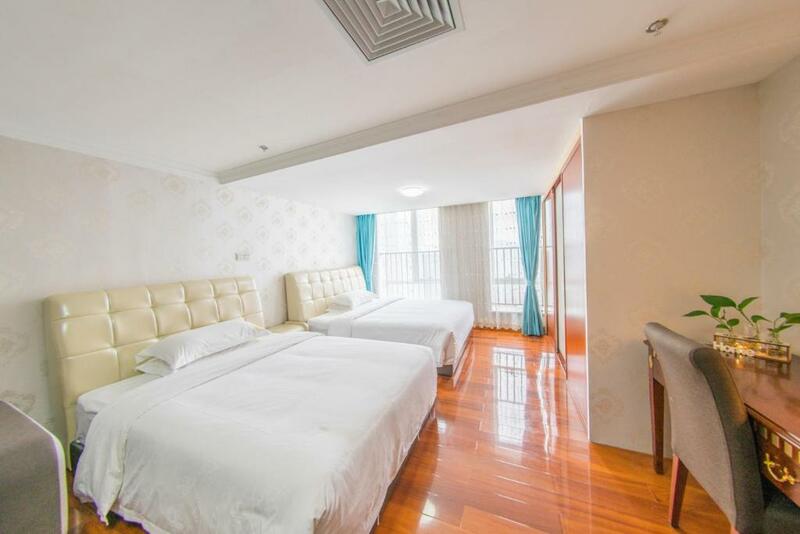 One of our top picks in Guangzhou.Steps from Taojin Subway Station and a 5-minute drive from Guangzhou Zoo, Yo Yo Apartment Zheng Jia Dong Fang Branch offers self-catering accommodations with free WiFi and a kitchenette. It provides a spa center, car hire service and a sun terrace. Yo Yo Apartment Zheng Jia Dong Fang Branch is an 8-minute drive from Yuexiu Park and a 10-minute drive from Baiyun Mountain or Guangzhou North Railway Station. East Railway Station is a 15-minute drive away and is reachable via Metro Line 1 and Line 5. Baiyun International Airport is 40 minutes' drive away. 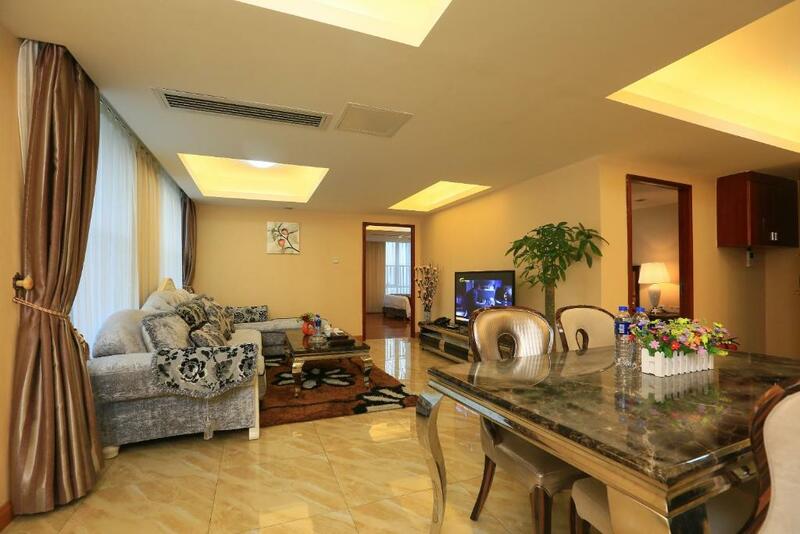 It takes 20 minutes by car from the property to the Pazhou Complex. 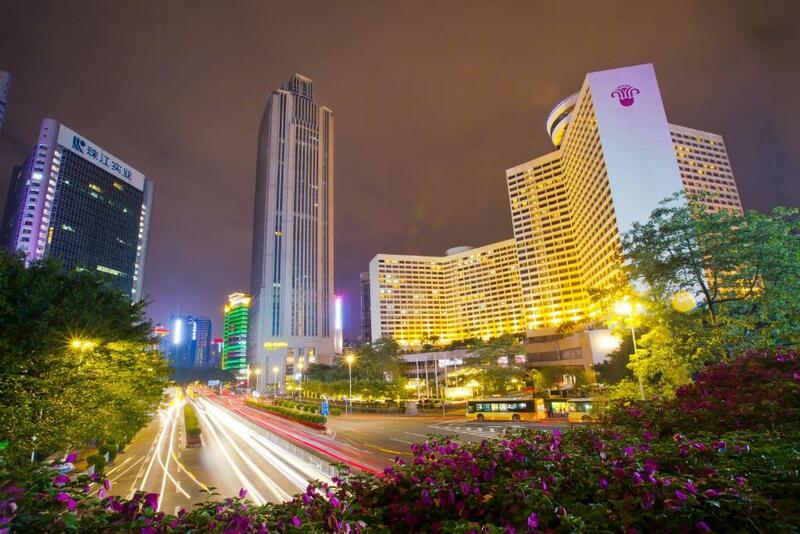 Express bus to Hang Kong and Macao can be found about 5 minute's walk from the property. All apartments offer a mini-bar and a seating area. There is a kitchenette with a microwave and an electric kettle. 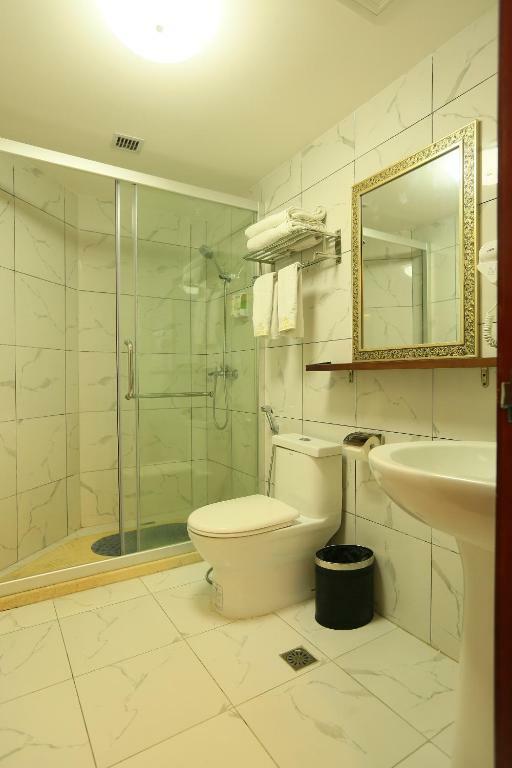 Featuring a shower, private bathroom also comes with a hairdryer. Ticketing services, currency exchange and tour arrangements can be requested from the tour desk. Business facilities are provided for those who wish to catch up with work. On-site shops are available as well. Arabic, Latin and Thai restaurants can be reached nearby within a 3-minute walk. 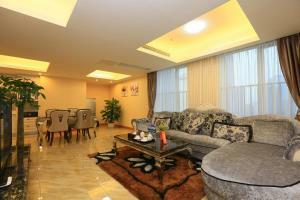 뀐 Located in the top-rated area in Guangzhou, this property has an excellent location score of 8.3! 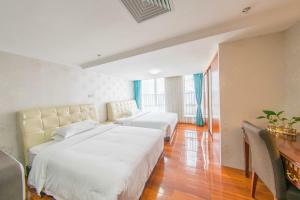 When would you like to stay at Yo Yo Apartment Zheng Jia Dong Fang Branch? This studio features a large double bed, a stovetop, a washing machine and an electric kettle. This studio features 2 double beds, a stovetop, a washing machine and an electric kettle. This studio features a large double bed, a stovetop, a washing machine and an electric kettle. A kitchenette and a private bathroom are also offered. Offering a view, this spacious studio features 2 double beds, a stovetop, a washing machine and an electric kettle. A kitchenette and a private bathroom are also offered. This suite features a work desk, hairdryer and sofa. This triple room has a seating area, satellite TV and electric kettle. This apartment has air conditioning, washing machine and kitchenware. Area Info – This neighborhood is a great choice for travelers interested in clothes shopping, accessories shopping and markets – Check location Great location - show map Guests loved walking around the neighborhood! House Rules Yo Yo Apartment Zheng Jia Dong Fang Branch takes special requests – add in the next step! Yo Yo Apartment Zheng Jia Dong Fang Branch accepts these cards and reserves the right to temporarily hold an amount prior to arrival. Please inform Yo Yo Apartment Zheng Jia Dong Fang Branch of your expected arrival time in advance. You can use the Special Requests box when booking, or contact the property directly using the contact details in your confirmation. - Cockroaches running around in the apartment. - Muld in the bathroom. - Springs sticking up form the mattresses making it very uncomfortable to sleep. - Strong smell from the sewage. - Stains and holes in some of the sheets and towels. - In general not too clean. We complained and got offered another room, but it was in the same state. Would not sleep here again and would not recommend it to anyone. Room bad smell, sofa very old, bathroom glass door not secure, got crocreches inside room. Frequent waiting on elevators in the building. Thank you. This is a cockroach infested property. I could cound about 20 per time at night. Very horrible. The location of the property is good!